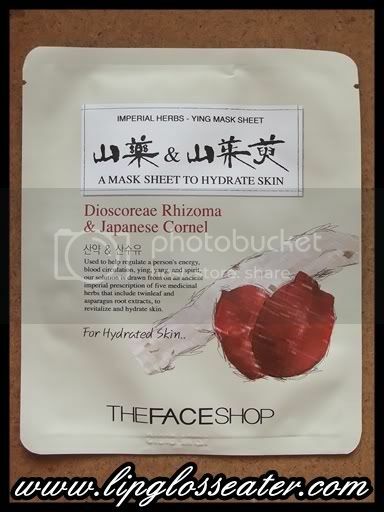 This mild, essence-type, all natural cotton mask sheet is concentrated with Dioscoreae Rhizoma and Japanese Cornel extracts to counterbalance ying energy and hydrate skin. 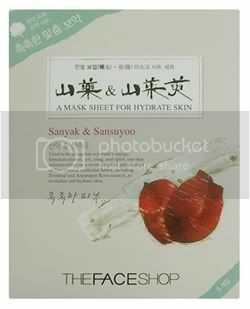 Like its Ginseng brother, this mask fits my face well except for the mouth part, which is quite big!! True to its claim, i feel that this one is the most moisturizing out of the 5! After using this, my skin feels really comfortable! 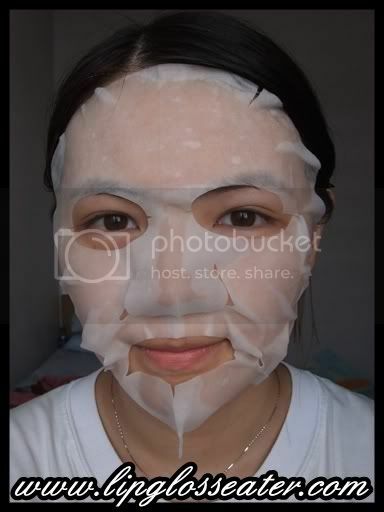 You are one of the FEW who can still look wonderful with face mask on!!!! I envy you pretty girl!!! thanks for the review, we have this down here! blergh!! 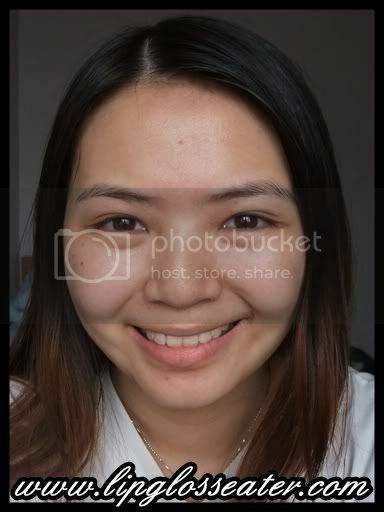 I went to Face Shop BEFORE I read this *groans* your skin looks baby smooth!